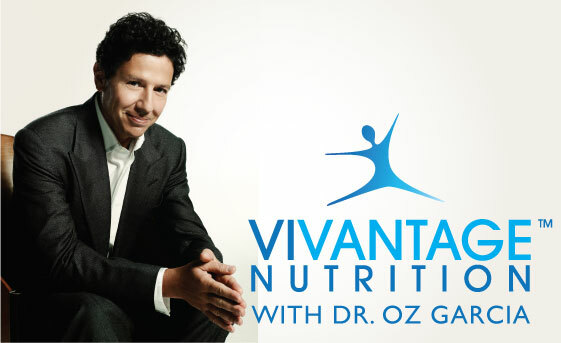 Nutritionist to the stars and best-selling author Dr. Oz Garcia will debut his Vivantage Nutrition line Tuesday on ShopNBC. “Created as an easy, effective ingestible program, Vivantage Nutrition is designed for men and women who want to live a healthier lifestyle,” ShopNBC said in a press release Monday. The two-day premiere will span Tuesday and Wednesday. Dr. Oz Garcia has over 30 years in the health and wellness industry and is a worldwide leading authority in the development and implementation of nutrition. Dr. Garcia has been featured in numerous publications, has been twice voted the “Best Nutritionist” by New York Magazine, and has appeared on Fox News as a nutrition expert. He heads the health and nutritional services for Equinox Fitness Clubs worldwide and is the best selling author of “The Balance” and “Look and Feel Fabulous Forever.” Dr. Oz Garcia is the go-to nutritionist for A-List celebrities, for Fortune 100 CEO’s, and now for the ShopNBC viewers. Available only on ShopNBC, Vivantage Nutrition is a line of research-based supplements for men and women who want to live a healthier lifestyle. Vivantage Nutrition Multi-Vitamin 90 Day Supply (C74078) $58.47. Formulations developed specifically for women under and over the age of 50 and for men under and over the age of 50. Vivantage Nutrition Energy Sticks 30 Pack (C74081) $35.51. Sugar-free, 10-calorie packets with B-6 and B-12 vitamins, natural caffeine from green tea, folic acid, potassium and antioxidants. Will HSN’s Vitamin Maven Andrew Lessman Skewer ShopNBC’s New Nutrition Expert, The Wizard Of Oz, In His Blog? 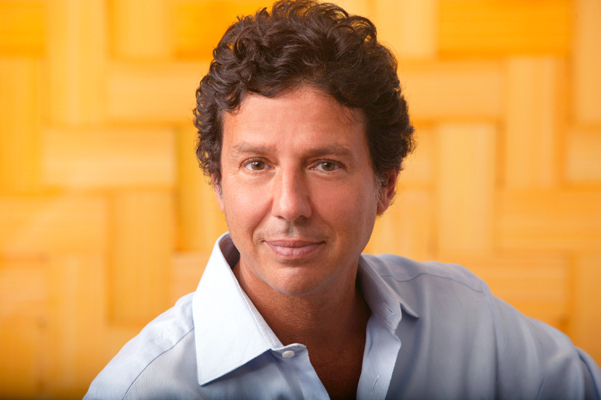 ShopNBC is getting its own vitamin guru, its answer to HSN’s Andrew Lessman. Nationally recognized nutritionist Dr. Oz Garcia will introduce his new proprietary line, Vivantage Supplements, to ShopNBC in a sneak peek this Monday, the network said Friday. Now the question is will Lessman take pot shots at Garcia in his blog the way he did at QVC’s supplements, criticism that prompted QVC to sue Lessman. And where does this leave HSN refugee Suzanne Somers and her nuitritional supplement line, which ShopNBC also sells? Garcia is a best-selling author and who was twice voted “Best Nutritionist” by New York Magazine, ShopNBC said in its press release. The network will be have a preview offer ready before the line’s full launch in later in September. The line will premiere on ShopNBC Monday and Tuesday. Garcia is going to give us the dope about how Vivantage can help deliver the nutrients that many of us do not get from diet alone. With more than 25 years of experience in the health and wellness industry, Garcia will explain how the products in Vivantage help provide a complete and balanced vitamin and supplement program. “The elements in Vivantage include the highest quality supplements available in today’s marketplace and are designed with targeted, research-based formulas that work together for a healthier lifestyle,” the ShopNBC PR machine said. Those are the kinds of claims that might get Lessman riled up. QVC tried, and failed, to get an injunction to stop Lessman from blasting its supplements in his blog. ShopNBC is offering four different options of the 30-Day Trial Size of the Multi-Vitamin sneak peek will be offered to customers: a multivitamin pack for men and women aged under 50 and over 50. You are currently browsing the archives for the Dr. Oz Garcia category.